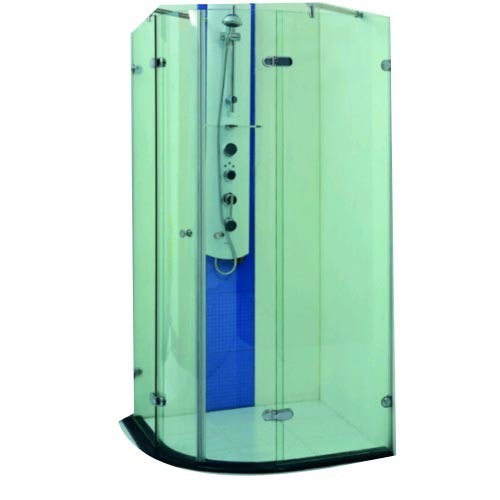 We are one of the trusted names to offer Glass Shower Cubicle for our valued clients. These cubicles are designed using finest grade glass and contemporary techniques in adherence to set industry norms. Our offered cubicles are widely used in a number of commercial and residential places for covering bathroom area. Our offered cubicles are made available in different sizes and dimensions to meet the specific demands of our clients. Backed by our vast experience in this industry, S. Velu And Co. established in 1994, is engrossed in manufacturing a wide array of Patch Fitting & ACP Cladding. In our range, we offer Patch Fitting, ACP Cladding and False Ceiling. Offered products are manufactured and designed using finest quality raw material and progressive technologies in full accordance with the industry defined norms. Our offered products are broadly acclaimed for their features like attractive patterns, sturdy construction and longer service life. We are offering these products in various sizes to choose from. Along with this, we are offering fabrication and maintenance services for these products. We have hired talented professionals to carry out all our business process in a hassle-free manner. All our professionals strive very hard to provide our clients with best-in-quality products. We also offer a customized resolution for offered products as per the specification is given by our patrons. Owing to our best quality product range, we have developed a broad client base across the nation.